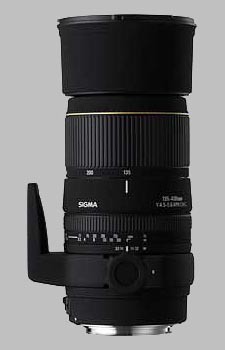 (From Sigma lens literature) Sigma Corporation is pleased to announce the launch of the new APO 135-400mm f/4.5-5.6 DG lens. This compact ultra-telephoto zoom lens is optimized for digital SLR cameras. The new multi layer lens coating and lens design reduce flare and ghost, and also creates an optimum color balance and better picture quality through the entire zoom range. This lens uses one aspherical lens and three SLD (Special Low Dispersion) glasses for excellent correction of various chromatic aberrations. It provides excellent image quality for digital and film SLR cameras. Rear focus system ensures high performance stability and ease of use. Since the front of the lens does not rotate during focusing, a circular polarizing filter can be easily attached and use. A removable tripod collar is included as a standard component.